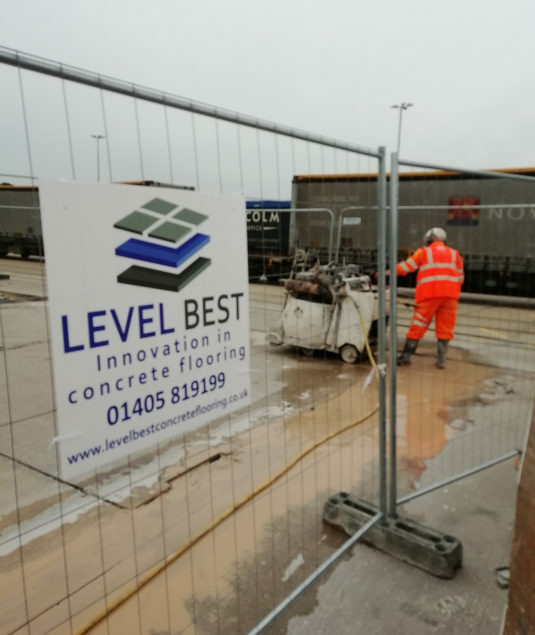 Level Best Concrete Flooring Limited carry out the removal and replacement of damaged concrete floor slabs. 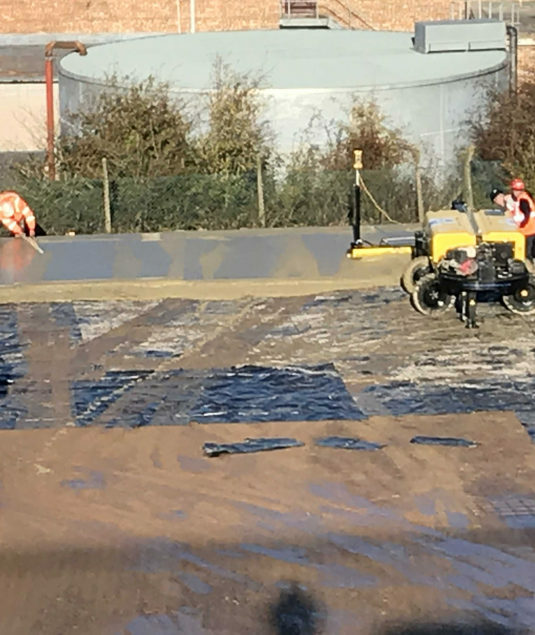 The full process of the concrete floor removal is managed internally utilising our own operatives and construction equipment. 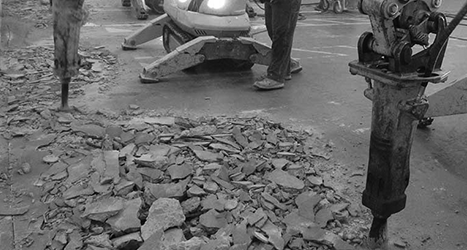 Should quantities and site constraints allow, we carry out the crushing and recycling of the damaged concrete on site. The works are always carefully coordinated to minimise disruption, especially in live factories and warehouses. 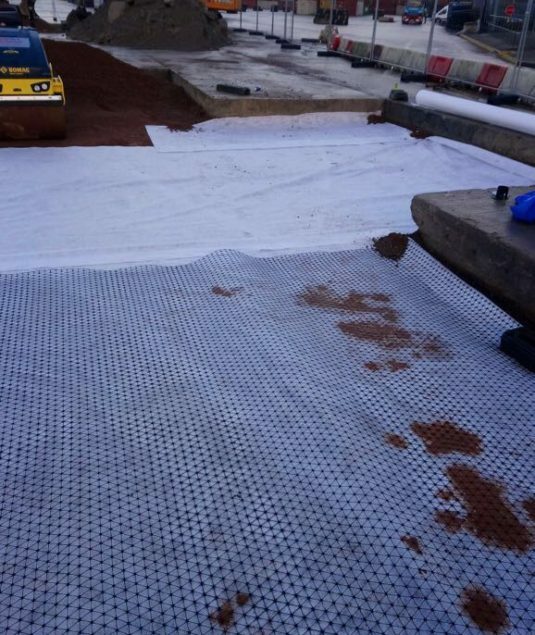 The Level Best Concrete Flooring staff have previously carried out floor slab removal contracts in some of the most awkward locations from car parks to live factories. 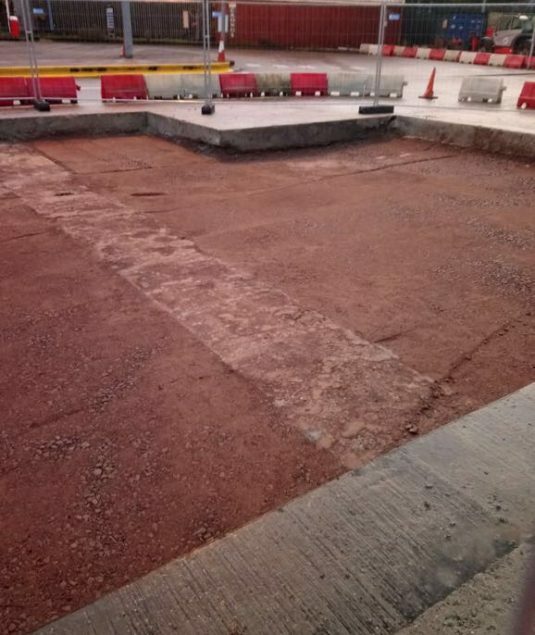 Damaged external concrete yards like this one in the West Midlands can end up costing the end users a lot of money in maintenance to their vehicles. Level Best Concrete Flooring has the skills and abilities to transform your old and tired yard into a suitable and hard wearing new concrete yard. 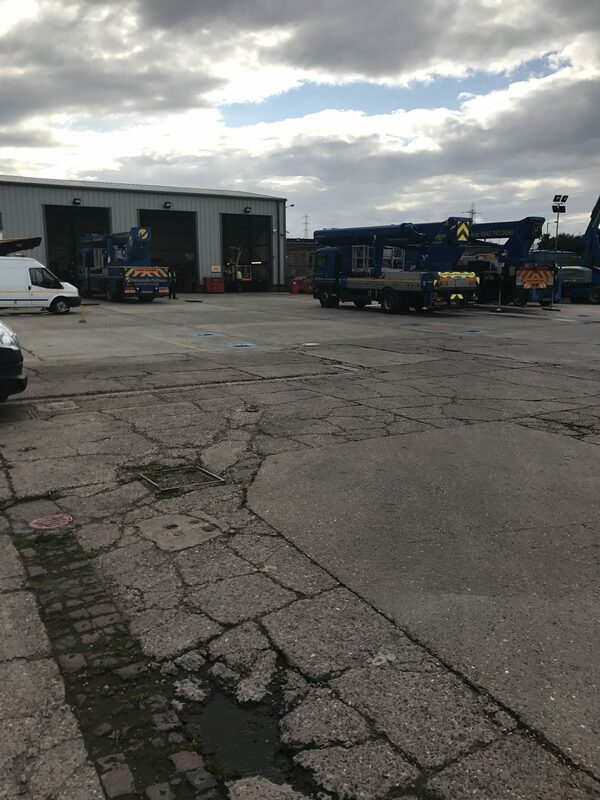 We have vast experience in carrying out the removal and replacement of concrete floor slabs and haulage yards in live factories and logistic centres. 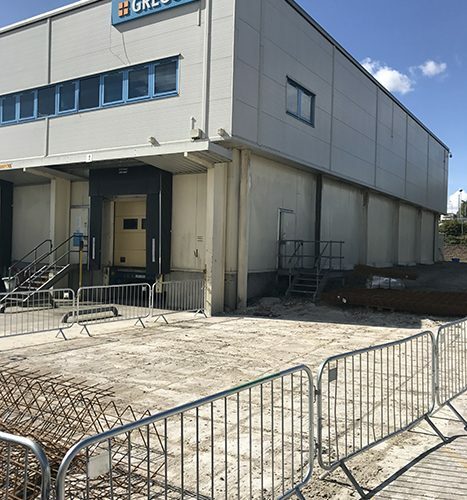 This busy factory facility in Leeds was no different as they operated on a 24/7 basis to cater for the rapid expansion of their business. 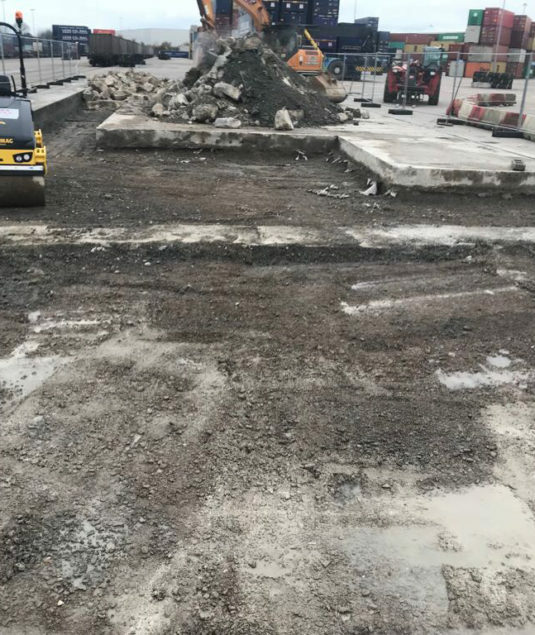 Level Best operatives had the existing slabs removed and replaced including all sub base excavation works within a week, without causing any disruption to the client whatsoever. 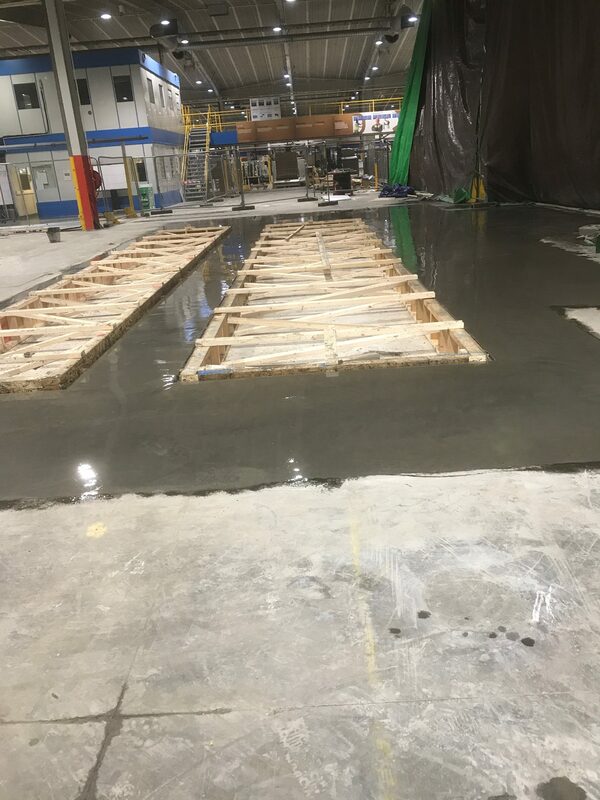 The existing warehouse concrete floor slab was not suitable for the new plant and equipment the client had ordered from abroad. 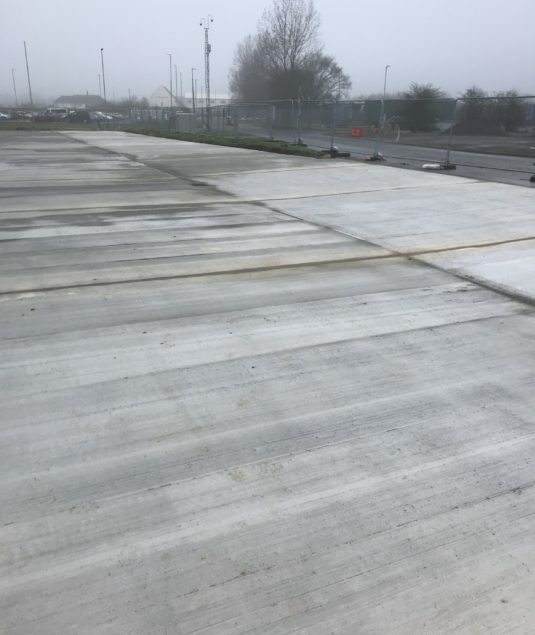 Level Best Concrete Flooring had to work from dust until dawn in order to remove and replace the concrete floor to the meet the clients timescales. 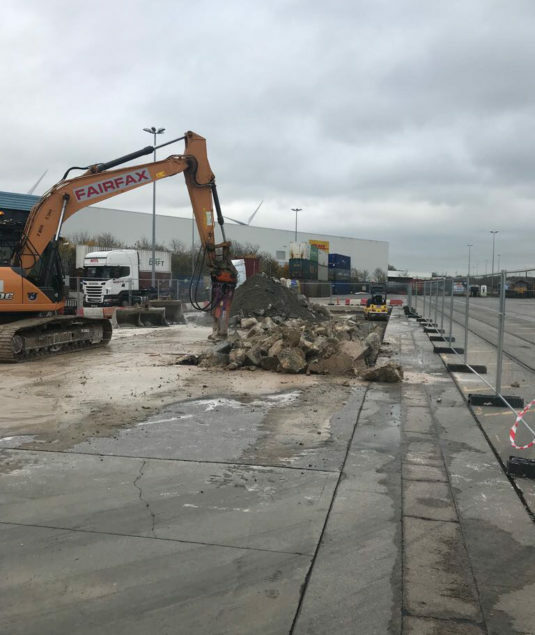 Works were carried out over the weekends to ensure the concrete floors had sufficient curing time before being loaded up with heavy equipment. 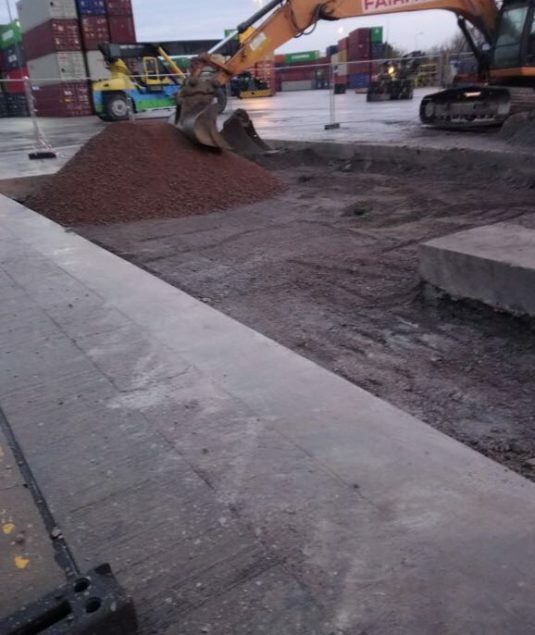 Concrete is broken out from damaged sections of the yard. 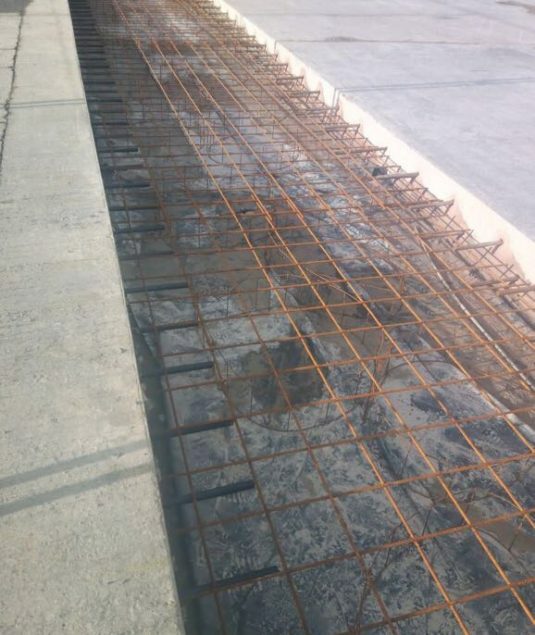 High strength Readymix Concrete is then installed by the Concrete flooring team to exacting standards. Level Best can also replace the damaged drains as well as damaged concrete floor slabs. 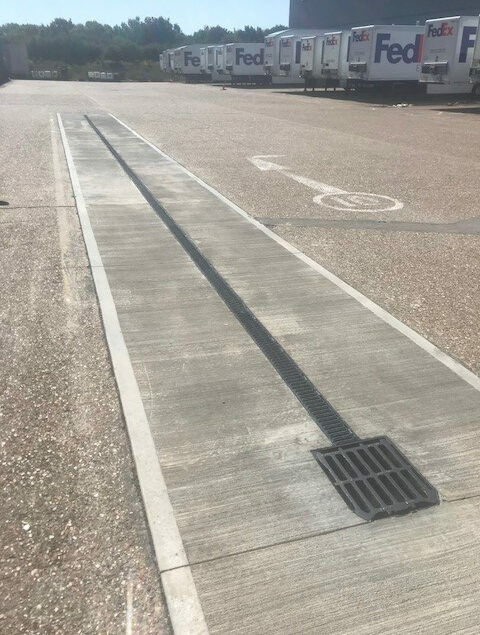 The above photograph shows a brand new drain installed at a large distribution centre.